3801 Limited have been operating heritage rail services in the Greater Sydney region since 1985, and we cordially invite you to join us on our flagship tour – the famous Cockatoo Run, a vintage day return train departing Sydney Terminal for Robertson and Moss Vale through the beautiful Southern Highlands. Enjoy reliving the railway experience of years gone by in our beautifully restored Standard Class heritage carriages, or recline in the luxury of Lounge Class and enjoy complimentary scones and drinks – our buffet car serves light refreshments and souvenirs throughout the journey (not licensed, however BYO is permitted). A mainstay of our operations since 1995, the Cockatoo Run is a scenic journey along the Illawarra Line, passing first through the rugged natural beauty of the Royal National Park before a spectacular shift to coastal scenery as the line runs parallel to the south coast from Stanwell Tops through to Wollongong and Unanderra. From here you can marvel as the vintage diesel locomotive tackle the steep grades up the Illawarra Escarpment, and enjoy the transition from splendid coastal views to waterfalls and magnificent rainforest as the train climbs up to Summit Tank, where we pause for you to admire the breathtaking views over Lake Illawarra to the Tasman Sea from the lookout. 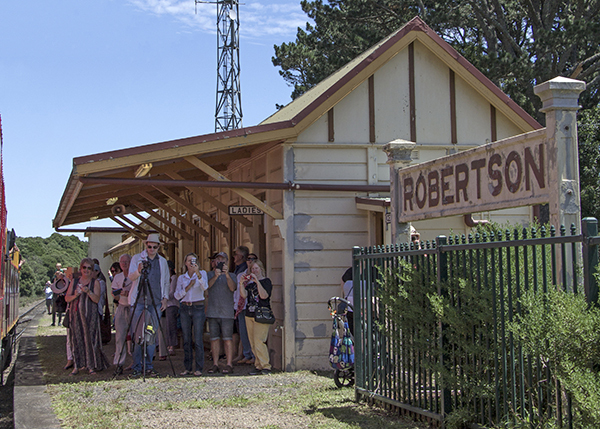 We then continue through to historic Robertson, where you can disembark to explore the town’s rustic charms and enjoy a leisurely lunch (stopping at Ranleagh House on request), or continue with the train through to Moss Vale. After turning around, the train then returns to Robertson before making the journey back to Central Station, traversing the same spectacular route as the sun sets in the evening, arriving back in Sydney prior to 7pm – an unforgettable day for all! Our friendly crew of volunteer Passenger Attendants will assist with your travel needs when you board and travel on the train, and will show you to your allocated seats. Our crew will point out highlights of the journey and offer information on places of interest that we pass. Seats should be reserved prior to travel and bookings can be made via the links on this site or by downloading a booking form that can be posted to our address – over the phone payment is available by credit card. Last minute, cash-only sales of tickets may be available on the train prior to departure at Sydney Terminal only if seats are available. Our office is open from 8:00am to 4:00pm Monday to Friday, where phone bookings can be made. Trains currently operate on selected Sundays – Seated and Lounge Class tickets available. Seniors, Group and Family discounts are offered and Carriage Hire is available by enquiry.